Beautiful hand-scraped laminate. Classic Hickory color that is 12mm thick with the pad attached. 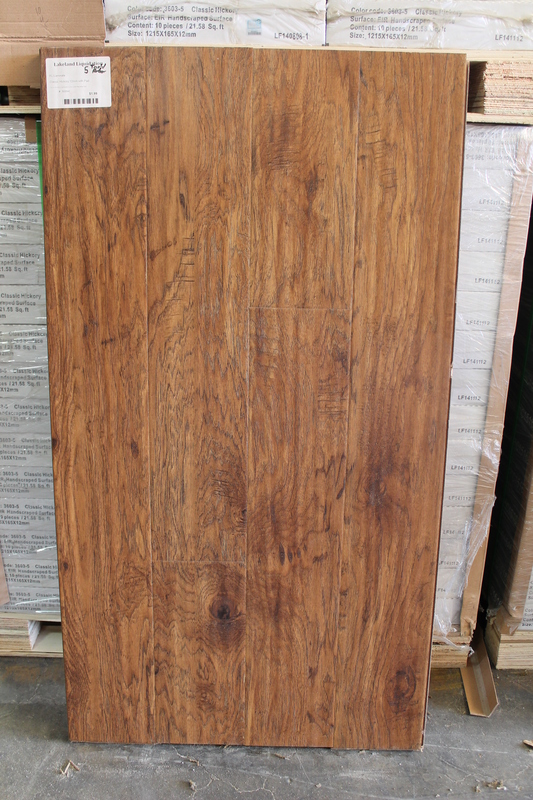 Lots of inventory and this is a running line of first quality laminate at discount pricing. Matching trim, t-molding and reducers are also available. There are 21.58sf per box. Priced at $1.99 sf.